I'm celebrating this summer: this is the nicest my garden has ever looked since we moved to Oklahoma over a decade ago! I can't help but share some photos with you, I'm just that excited! Previous years haven't been this successful, that's for sure. Our soil here is poor. Perhaps we had rich topsoil at one time - before the Dust Bowl, at least - but I'm guessing that most of it is down in our farm pond. Run-off is a problem when you live on top of a hill. But for the past half a dozen years I've been adding all sorts of organic matter to the garden. When I began using raised beds, they helped to contain the top soil and keep it from washing away. 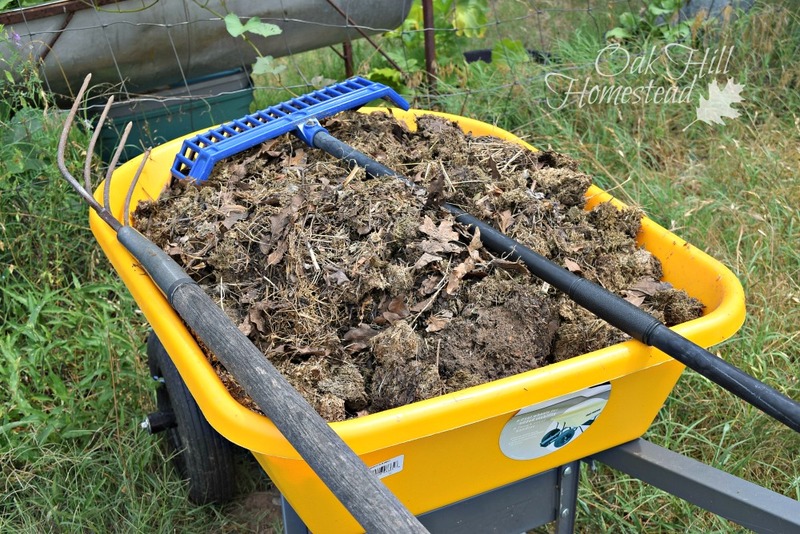 Grass clippings, pulled weeds, autumn leaves, lots of manure (goat, horse, poultry, and at times rabbit, alpaca and sheep too), kitchen waste, paper and cardboard and all sorts of other organic materials have been composted and added to the soil. When I build a new raised bed I use the lasagna garden method and let it all compost in place until spring. Maybe the comfrey tea I'm making this year is helping too? Of course, the Lord has provided the rain and the sunshine and warm temperatures needed for growth. 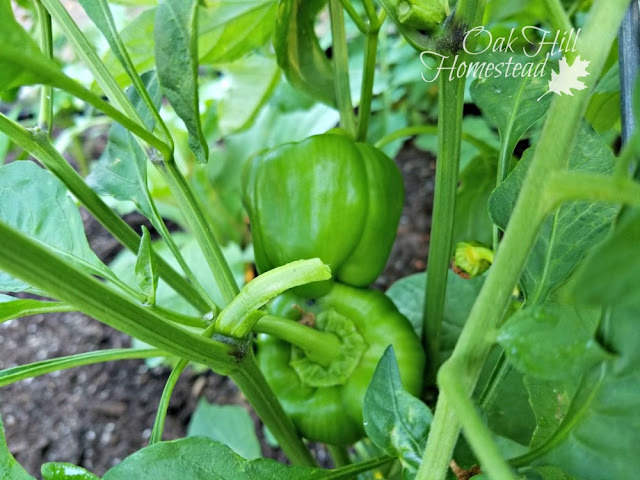 Bell peppers always give me a bumper crop. They like it here. My tomato plants are gorgeous. The DIY trellis I made this year is still working great and is sturdy enough to hold these giant, heavy plants. The spring crops are finished of course. 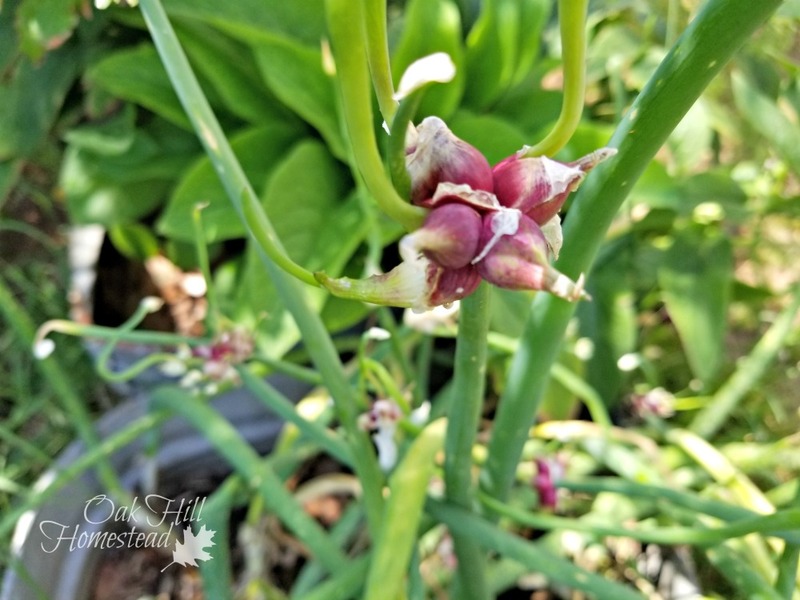 The red onions are growing well. We've eaten a lot of them already, but there are some left to grow large. The walking onions do well in our climate and haven't disappointed me yet. This year I moved them from their spot near the herb garden to the vegetable garden where they have more room to "walk". This is my perennial herb bed. 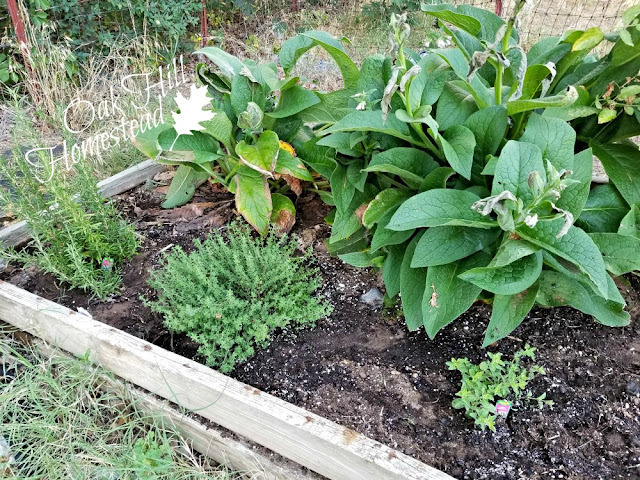 There are comfrey, rosemary, thyme and oregano plants. This year I moved the perennial herbs from the herb garden area. My herb garden is a container garden, so moving the perennials to this raised bed will help them overwinter more successfully, I hope. Annual herbs and flowers will stay in the container garden. Evidently squash bugs got my one zucchini plant, after I'd harvested just three of them. Ah well. So far the yellow squash is untouched... we'll see how long that lasts. Yellow straight-neck squash - that's just one plant! 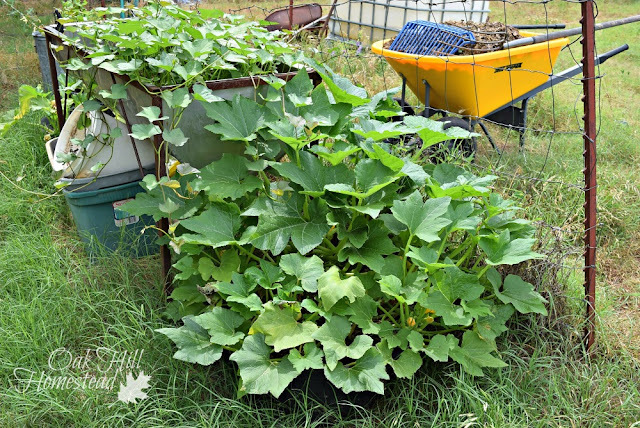 It's hard to know where the squash plant ends and the sweet potatoes begin, isn't it? I even found a humongous yellow squash down there behind the squash plant's container. I didn't see it in the tangle of foliage and it sure took advantage of its hiding place. I grew three kinds of garlic this year. The first was some I bought online two years ago. It didn't produce last year, so I left it in the ground over this last winter too. This summer it did produce some small bulbs but nothing to write home about. The second type was given to me last year by a friend from her garden. She's grown this variety for years and it grows well for her. It did pretty well for me, and began dying back in early June. I didn't plant a lot, but it gave me a reasonable harvest. The third is another variety I bought online from a different source. My goodness, I might have found my favorite variety of garlic, although I'd have to look through my files to find the name of it. The third time's the charm, right? The plants look different, less like onions. 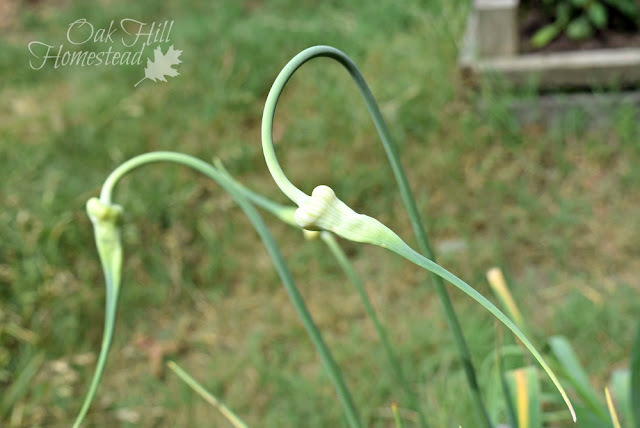 In late June they produced scapes, and I read that hardneck garlic grows scapes but softneck doesn't. Well, softneck garlic is supposed to do best in southern gardens, while hardneck grows better in cooler areas. Did I goof and order hardneck? I'm not sure... but they sure did grow well for me. I harvested it all last week and had some very nice-sized bulbs. I'll be planting cloves from the largest bulbs again in the fall. 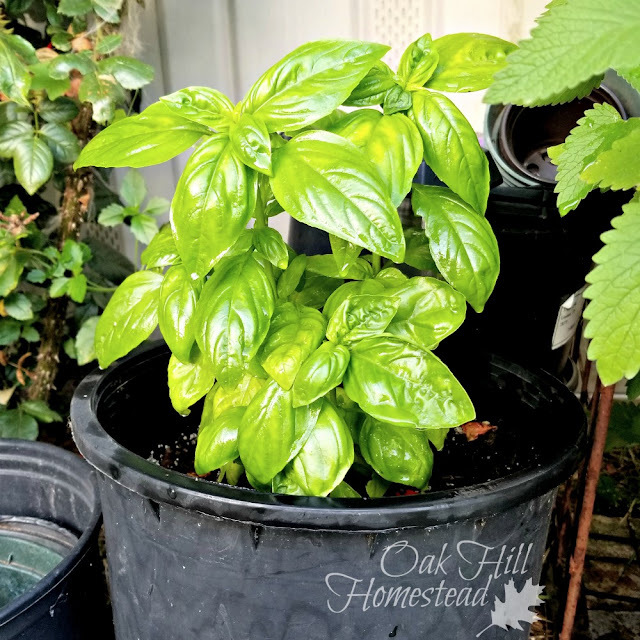 Basil is another plant that thrives in Oklahoma's climate. I planted this one late but it's growing like crazy. Lemon balm and catnip both came back in their pots this spring. I've always tried to keep them from going to seed but evidently last year they did because there's also lemon balm growing in the lawn near the herb garden. I'm letting some of both flower on purpose this year because bees love them. I've harvested quite a bit of catnip already because one of our house cats goes crazy over it, as does our granddaughter's cat. Where's the okra, you ask? I know, it grows really well in Oklahoma. Hubby and I haven't picked up a taste for it so I don't plant it. When I designed the raised bed garden, I measured the paths between the beds to be sure the lawnmower would fit. Bermuda grass is my biggest garden "pest" here. I've been diligent about mowing this year, and I'm really happy with how nice the garden looks. 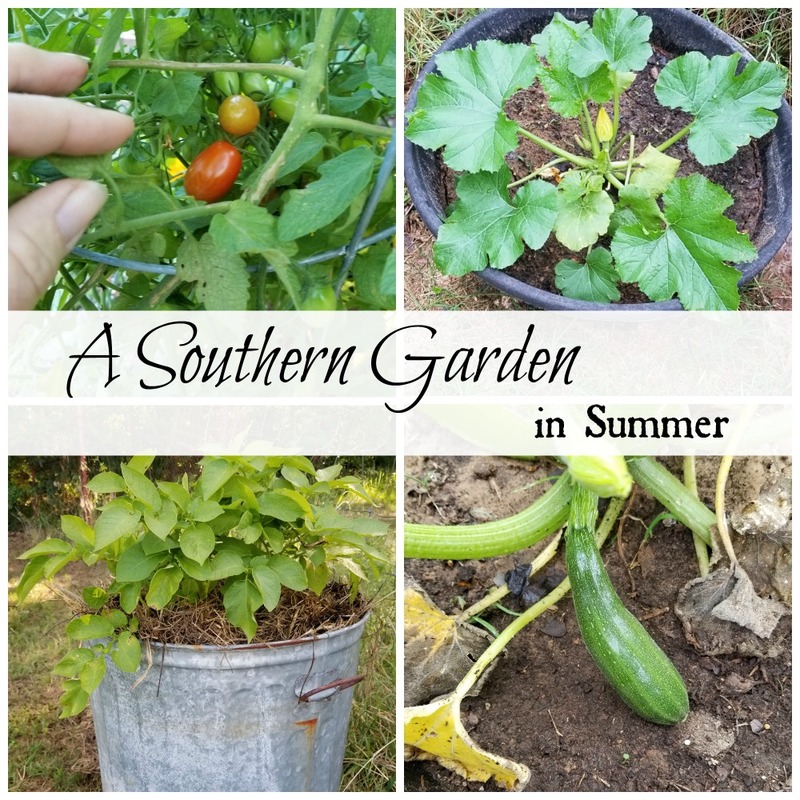 What's growing well in your garden this summer? I'd love to know. Leave me a comment! This images below are affiliate links. Read my full disclosure here. Wow! The fruits of your labor are beautiful. Love this and so glad you went with raised beds. You prepped them perfectly, it's the key to your success. Feels good doesn't it? Everything looks fantastic and I'm so happy for you. I'm in North Texas about 2 hours from the OK boarder and I'm guessing our soil is similar. Raised beds made all the difference here and I just love how organized everything looks too. I use a cubcudet weed eater mower, it trims the grass between the beds and cuts right down to the base keeping that Bermuda out of my beds. Thanks for sharing this made me smile big.. Those peppers look amazing!! Thank you, Carole! I'm glad that you're having success with the same methods. Is the Cub Cadet a string mower? What grows best for you? Yes it's the string mower and I use the red strings from lowes - they look like twizlers because they don't slip through and last longer. I didn't plant much this year because we have our farm up for sale but my blackberry project has exceeded my expectations and the cucumbers this year are fantastic. Did a combination and really enjoying my herbs. Mmmmmm, blackberries are my favorite. We only have wild ones though which have wicked thorns. Thank you for the tips on the string mower. Hubby has one but I haven't tried to use it myself; I might have to give it a go. Hoping your move is soon and smooth. inspire. It's funny I am just south of you in the north part of Texas. My basil grows well. But I got one zucchini and one yellow squash. The zucchini is still trying maybe I will get a few more! Thanks for sharing your tips and your beautiful garden! Hope you get a few more zucchini. It must make you happy just walking around your garden every day. I'm battling both squash bugs and vine borers. I'm not sure if I'll get any squash/zucchini this year. My tomatoes and peppers look pretty good, but they're growing so slowly. My greens are doing well, as are herbs. Just so-so, so far. I probably need to do better at amending my soil this fall/winter. I use similar methods as you but haven't done as well lately. It's hard to know. It is hard to know how much is enough, isn't it? Keep pluggin' along, and hopefully it will pay off eventually. We've had lots of squash bugs too, both last year and this year already. 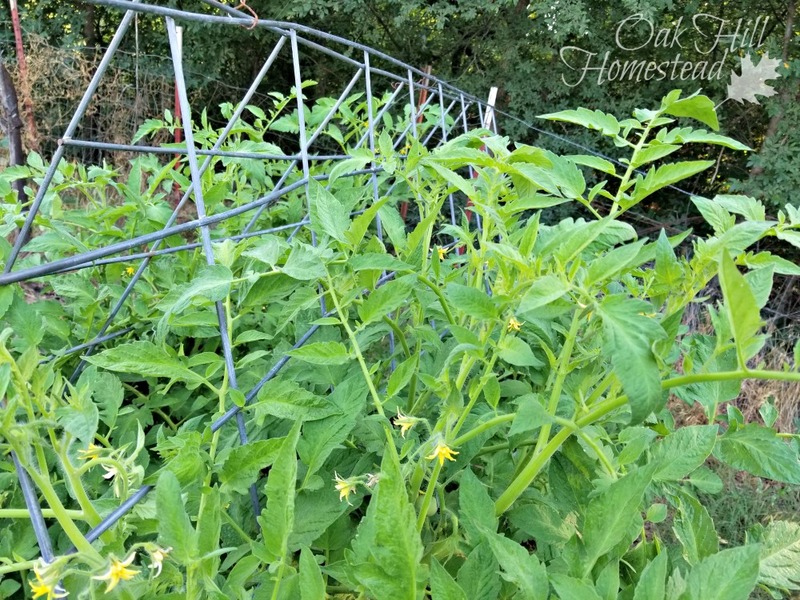 :( Love your DIY trellis for the tomatoes. Great idea! 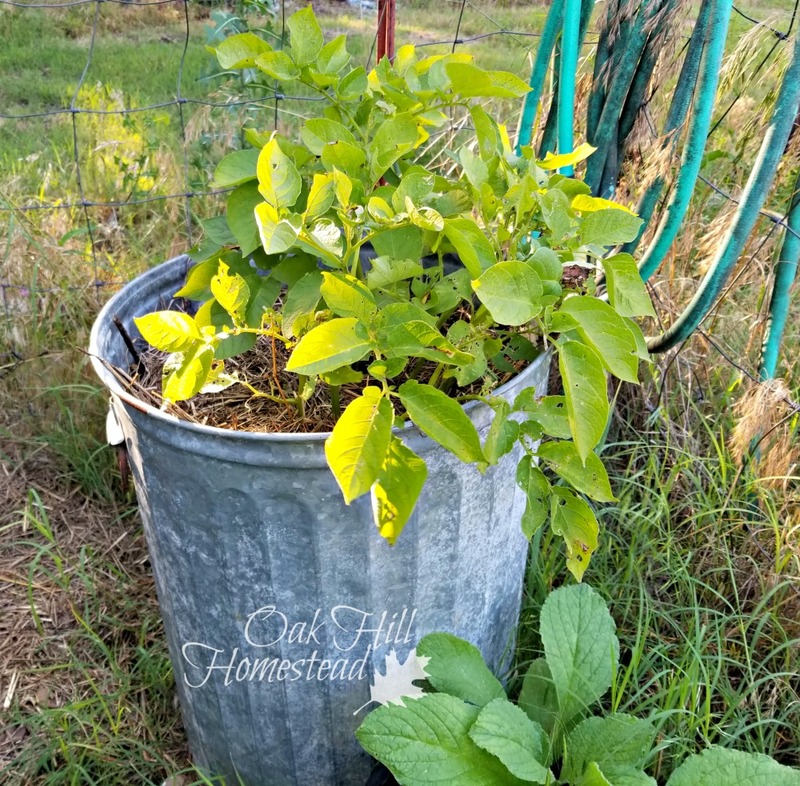 Our lemon balm is growing like crazy too! Visiting from the Homestead Blog Hop. It looks wonderful! I've had a great garden year this year too. And, I live in Texas where okra is considered a treat. However, I can't stand it any way except pickled. So, I don't bother planting it. I can't abide the slime! Your herbs look wonderful! 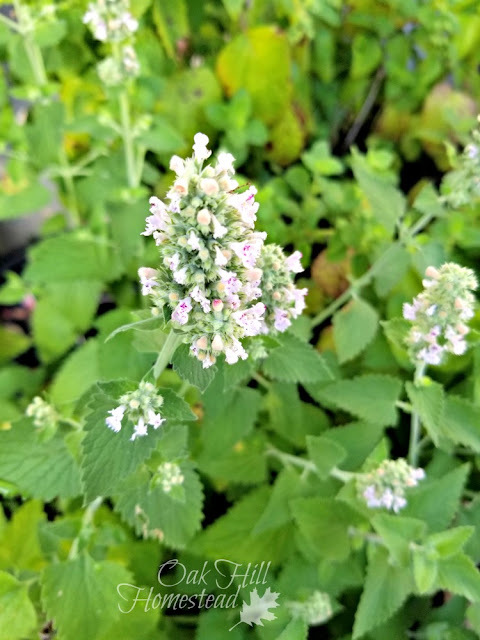 I've had lemon balm going here for a couple of years, but it has never offered to bloom. I hope the weather holds and we both continue our good season! Anne, it's good to know that someone else doesn't like okra too; like you I can't stand the slime. I hope your garden continues to hold up in this heat. It might be a tough summer! We inherited a set of swales when we moved here; a former owner really knew what he was doing. But over the years things have changed, trees have fallen and the roots no longer hold back the soil, and the swales need to be dug out. Hopefully we'll get to that some day. Your garden sounds like it's doing great this year, Danielle. I hope your harvest is bountiful. Your Garden looks Superb. What kind of mulch do u use for vegetable garden ? I use what I have at the time. Some is mulched with straw, some with dry grass clippings, some with wood shavings (animal bedding). Some isn't mulched at all. It's so lovely when the garden comes together, Kathi and yours looks so lush and abundant! Everything is growing so strongly (despite a few naughty bugs!) and I just love those gorgeous tomato plants. And your basil - oh my! Thank you so much for sharing this post with us at Hearth and Soul. Thank you, April. The tomatoes are just starting to turn red - yumm! Wishing you lots of tomatoes and basil too! Love. Love. Love. And I'm struggling to not have pepper envy--ours have never done well since we moved up north; don't know if I can blame it on the climate or not. And I love your garbage can potatoes! Thank you, Michelle. This is the only place I've lived where peppers grow so very well. They just must be well-suited to this area. I always have way more than I can use in a year. I cut them into strips and put in the freezer so I can use them all winter long.